You are here: Home / Press Releases / Oded Paz, a nominee for the ANA’s board of Governors, designed and rolled an elongated coin for his supporters. The elongated coins were pressed on pre-1982 copper cents and are available to anyone who sends him a Self Addressed Stamped Envelope (SASE). 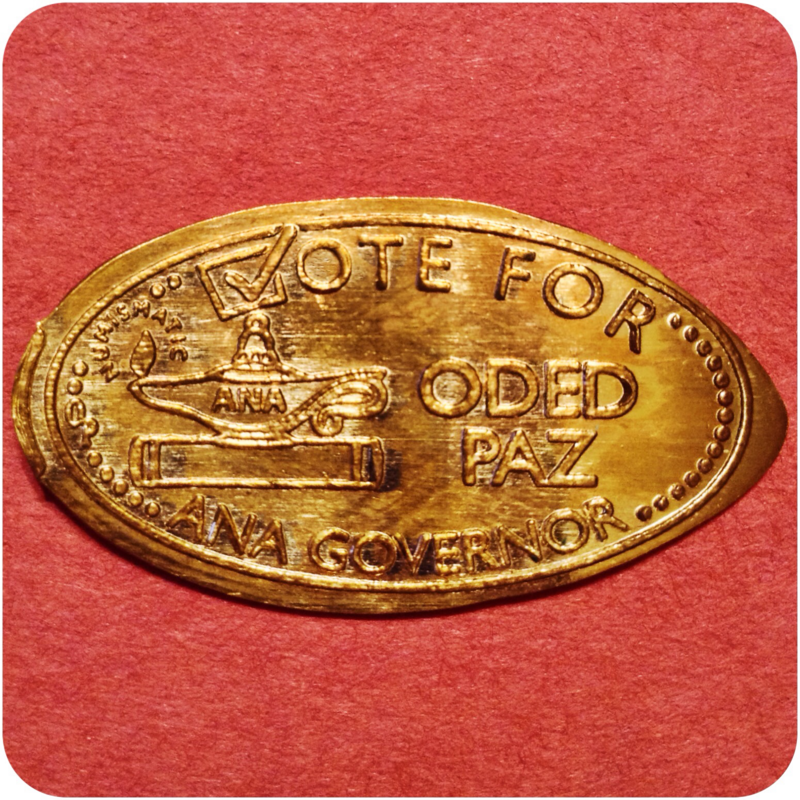 Donations of $1 or more, would be used to support his election efforts, would be greatly appreciated, and will earn the donor the same design rolled on a Nickel, as well as the Cent. 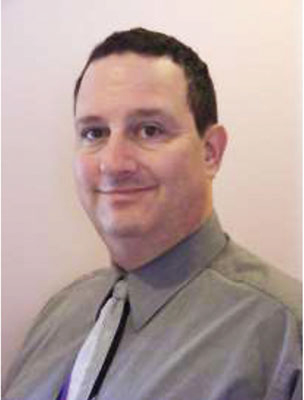 Please send the SASE to: Oded Paz, P.O.Box 633, Arco, ID 83213-0633. 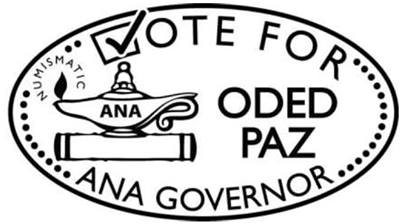 This page will promote & answer any questions ANA Members might have for Oded Paz, who is running for a seat on the ANA’s Board of Governors.